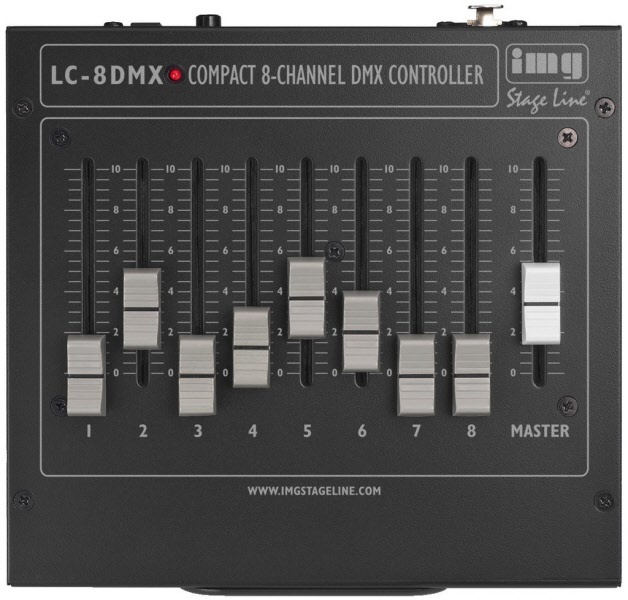 IMG Stage Line LC-8DMX 1 is a very easy to use 8-channel DMX controller. It has 8 faders to control DMX channels ( The start address is adjustable) and one overall master. Ideal for controlling LED lighting or convential DMX dimmers.